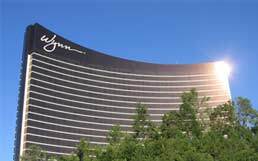 Wynn Las Vegas unveil Encore Las Vegas Hotel this past Friday had a one year anniversary with a ground breaking ceremony including Steve and his wife Elaine at the Wynn Hotel Las Vegas. The new Las Vegas hotel casino, Encore Las Vegas will be a $1.74 billion, 2,054-room next to the Las Vegas developer’s 2,716-room $2.7 billion, Wynn Hotel Las Vegas resort. The Las Vegas hotel casino and its amenities will take approximately 30 months to complete, finishing in late 2008 before the holiday season. Visit here for a Wynn Las Vegas job application. As always, the new Las Vegas hotel casino Las Vegas Encore will break ground with never tried Las Vegas hotel features.